Went to US for about a month and.. The second woman I stayed at was too thin according to her doctor.. 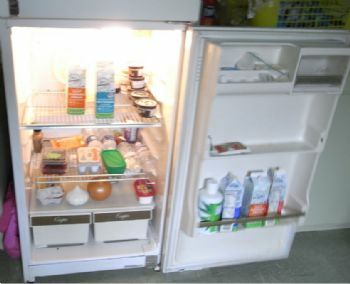 Here I had to buy extra food in order to make an ordinary meal with eggs and vegetables and something for breakfast. 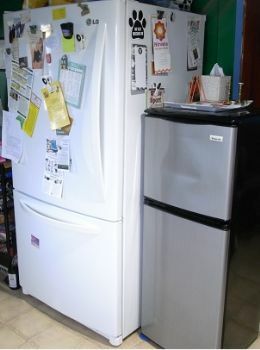 She wanted to buy a smaller Fridge. At her place I set the table with a big plate for here and a little plate for me. But my way of making a big pot of food and freeze it in small buckets except the food for that day works good - both money wise and time ways and for the right amount of food.. If I want to see fat people I can go to a Danish fair - for one or another reason fatties gather there.. But I prefer minding my own fat..